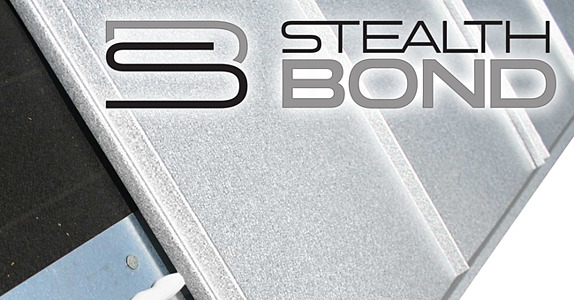 The StealthBond® Installation System allows metal roofing contractors to install 5V Crimp and 3’ Ribbed panels using adhesive instead of screw fasteners. 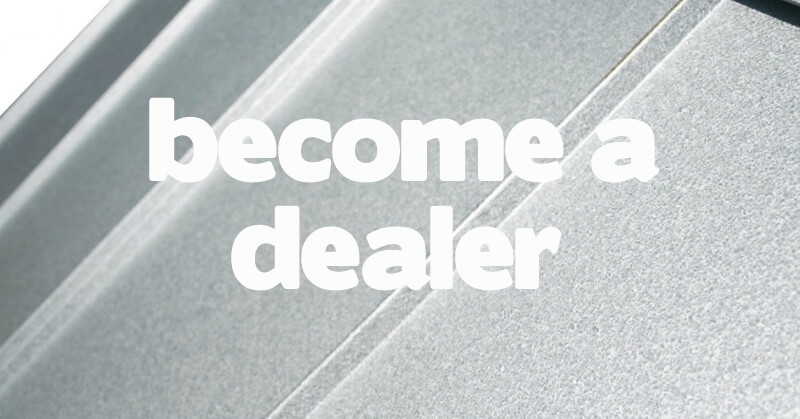 Now, StealthBond® dealers can provide their customers with more options rather than upgrading them to Standing Seam which is only available in one particular profile. 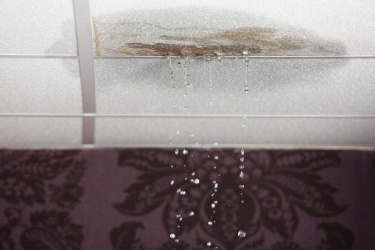 Hurricane season is upon us, and many Floridians are preparing their home for the potential stormy weather. Florida is ranked number one in states that are most likely to be affected by hurricanes and rain because of its location in the Atlantic. Warm water typically moves northwest, and because of the state's extensive coastline, there is a long path for storms to touch down. 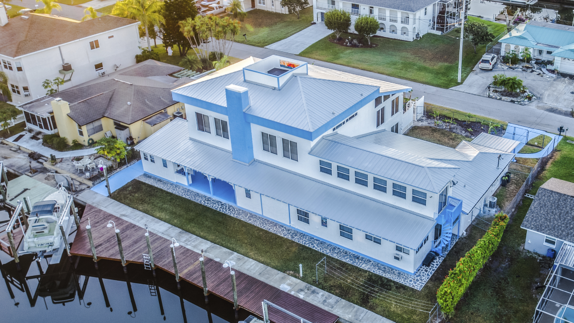 The roof is a home’s most important defense against the elements, and a metal roof is one of the best ways to protect your home. 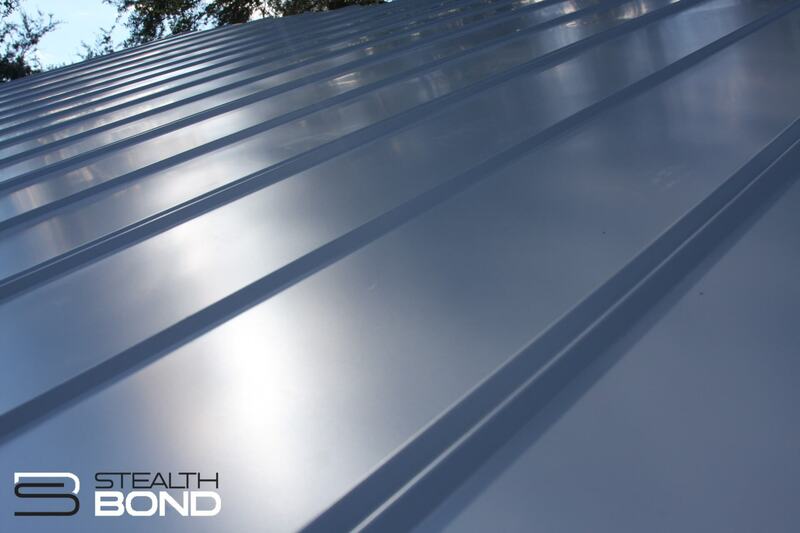 Proven to withstand high winds, torrential rains, and extreme hot and cold temperatures, metal roofing is designed to offer many years of beauty and protection for your home and contents. 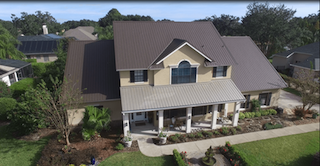 Jacksonville, FL - StealthBond® a Florida-based company that has answered the need for an adhesive installation systems for metal roofing, has just added a 3ft Ribbed Panel to its system. 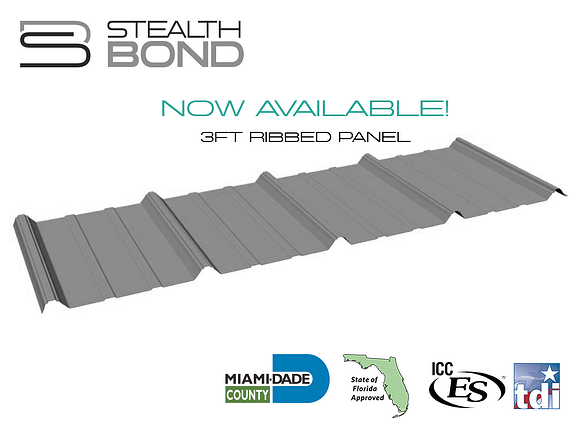 The new panel has passed a comprehensive evaluation FL17955 R3 and has been included in the ICC-ES File ICC ES 17-03-08 StealthBond® concealed panel offering.